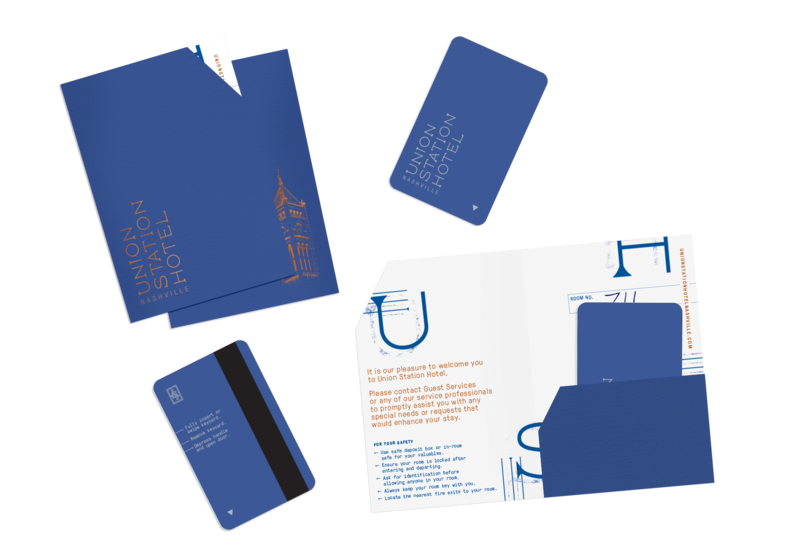 The Union Station Hotel is an iconic landmark, as the building where it lives is grounded with history. 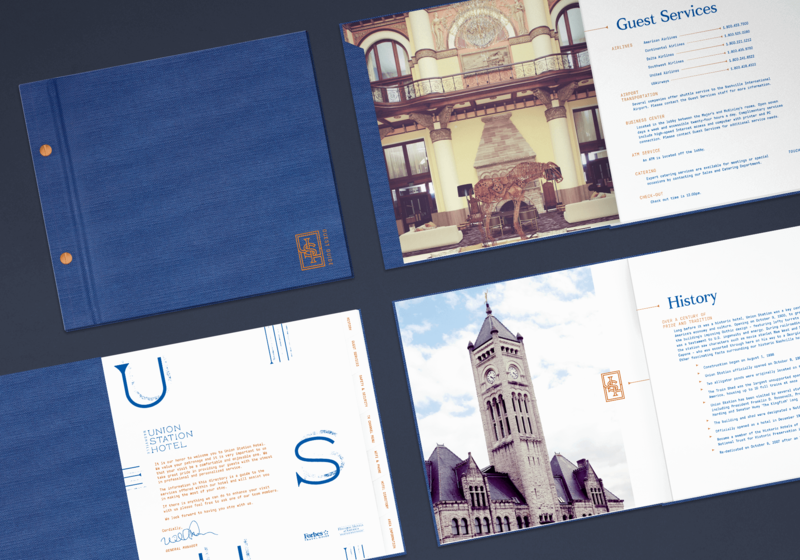 Union Station has always been transient by nature. 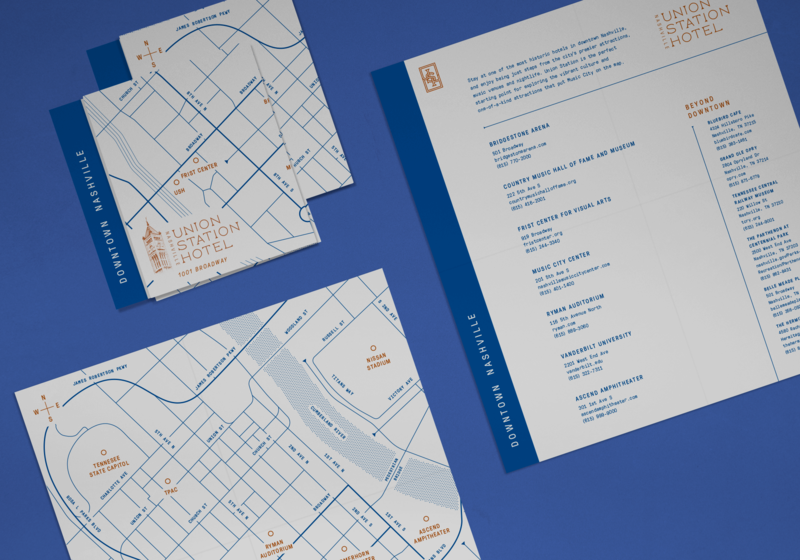 It was once a train station that allowed visitors to come and go, and is now a hotel that introduces new visitors to the city of Nashville. 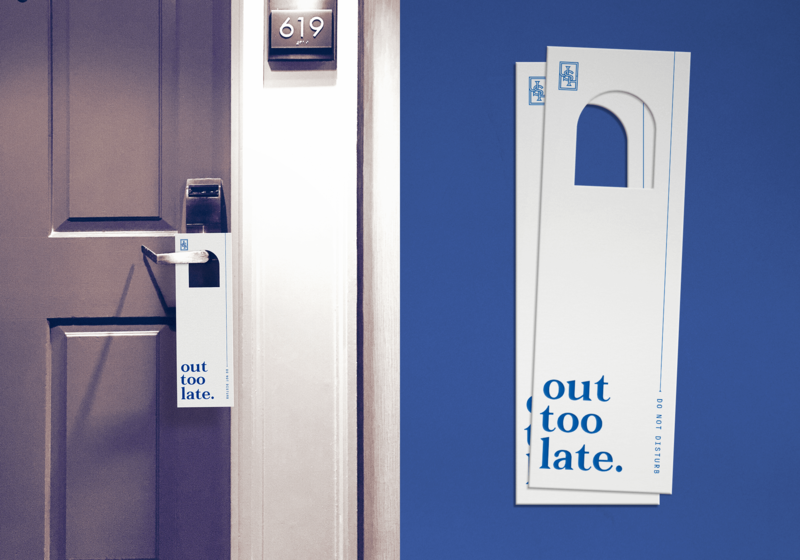 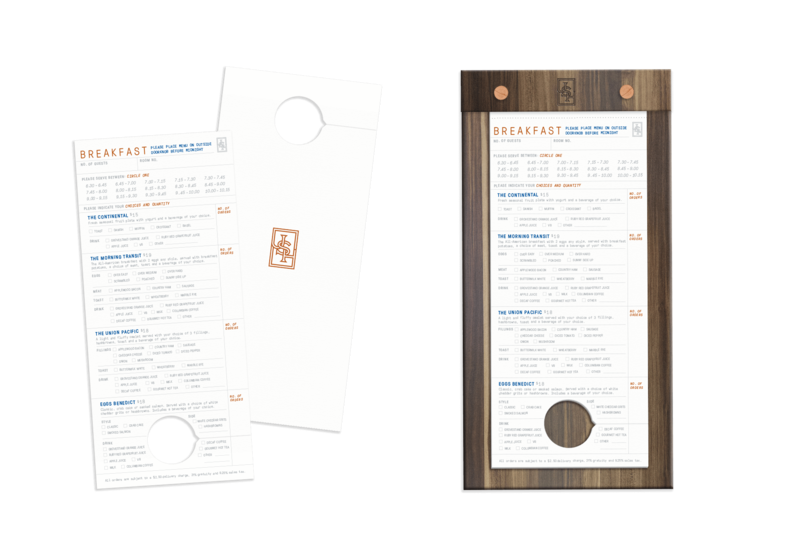 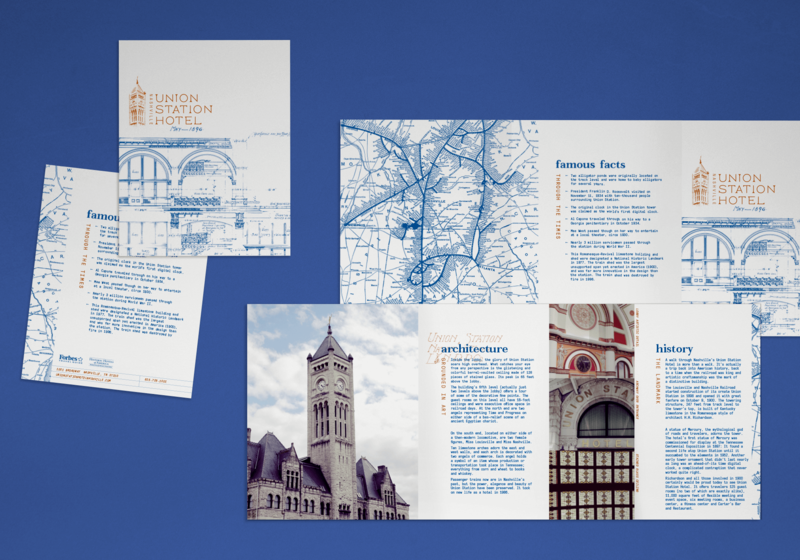 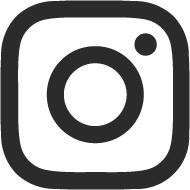 The challenge of this project was creating newly branded materials for the hotel's guests that will carry on the legacy of Union Station, and assist in the introduction of the city to it's new, or returning, guests.